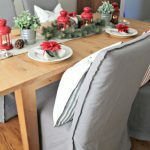 A huge thanks to our friends at IKEA U.S. for sponsoring todays post. I am a proud IKEA Brand Ambassadör. 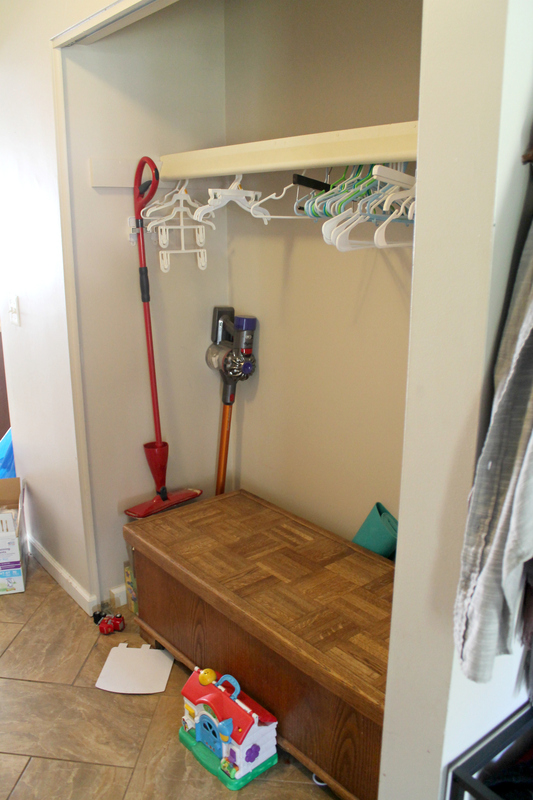 Keep scrolling to see How to Turn a Hallway Closet into a Mudroom on a Budget! 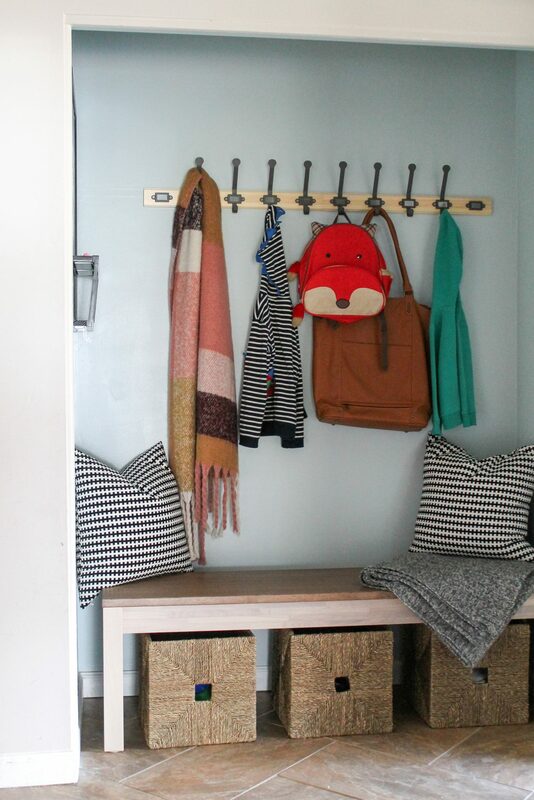 I am so so so so so excited about today’s post because I finally get to reveal the hallway closet project we’ve been working on! This is something that can be done entirely in a weekend, and it was something our whole family (even the kiddos) helped complete. Our entryway is a little small, and the doors of the hallway closet broke about a week after we moved in so we’ve kind of just kept them off and used the closet space to store games and other random stuff. See what I mean? It was just random stuff shoved into the closet, and a coffee table that we weren’t using that opens and was storing all of our games. 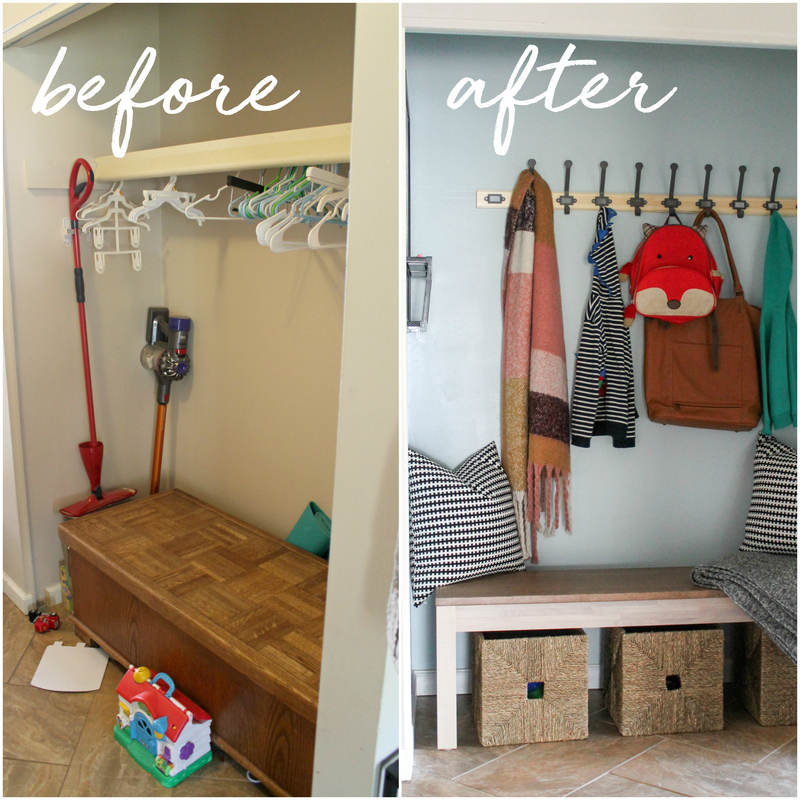 I really wanted to turn the closet into a space that was happy and fresh, and something I loved coming home to! First things first, we removed all of the shelving and brackets, then the tracks that were installed for the doors. Once we did that, we filled in any of the holes left behind and got the walls dusted off and prepped to paint. We went with this gorgeous sea glass blue, and I absolutely love how it turned out! Once the walls were painted, we headed to IKEA to pick up everything else we needed to complete the project! KEJSARKRONA Bench – I wanted a safe place for my boys to sit and put on shoes, etc. And I absolutely fell in love with this solid oak bench. 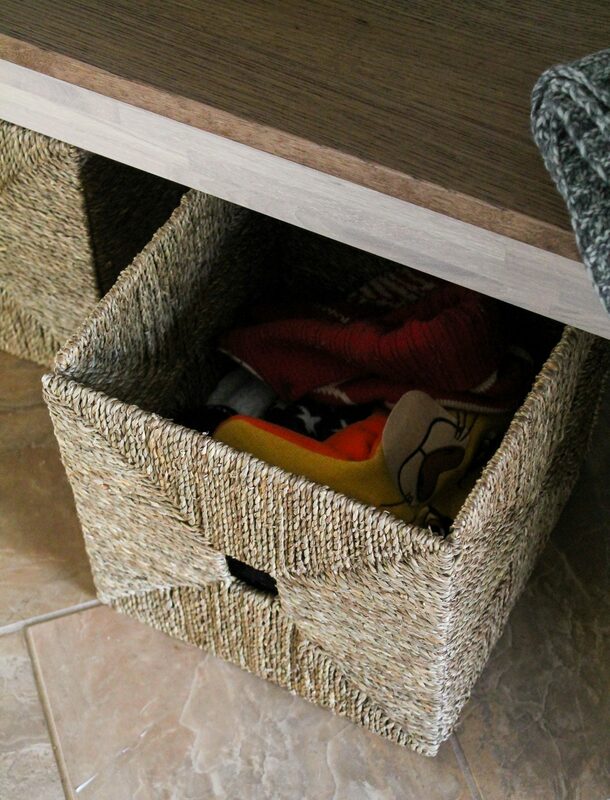 It’s the perfect height to place baskets under, and so sturdy! The grain of the wood is beautiful and it really fits in with our farmhouse style decor that we have in our home. Plus, it was the perfect size for this project – I couldn’t have found anything that fit better! Luns Writing/magnetic board, black – I wanted a chalkboard so we’d have a central hub for writing messages, etc. This magnetic writing board took it one step further offering organization, hooks for our keys, and more! I love that it’s magnetic, too – so I can easily put up the kids artwork or anything else that we need to keep in our view. 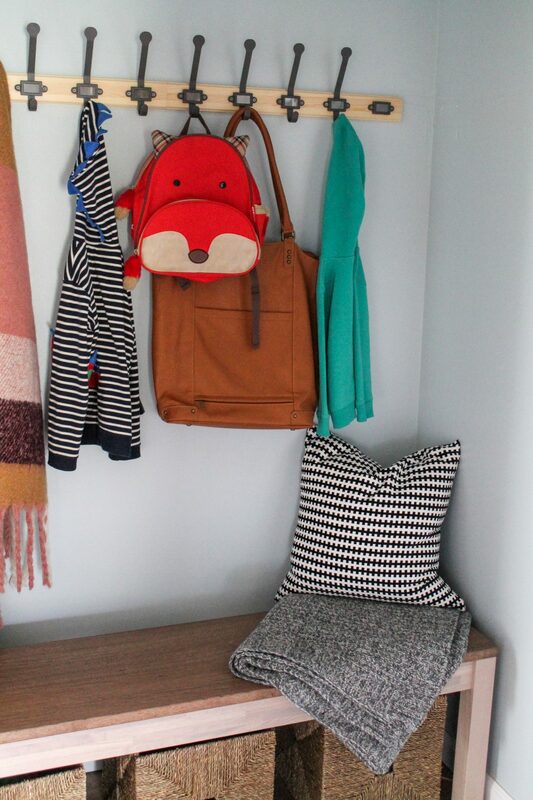 There’s even a little space to store the chalk (we love the MÅLA Chalk that’s pictured in the board). KARTOTEK Rack with 5 hooks, pine, gray – Since we completely removed all of the previous shelving from the closet, we needed some hooks for the wall. I thought the style of these was so complementary to the look we were creating, don’t they add a nice bit of charm to the closet? We purchased two and hung them side-by-side so it looks like one large piece. 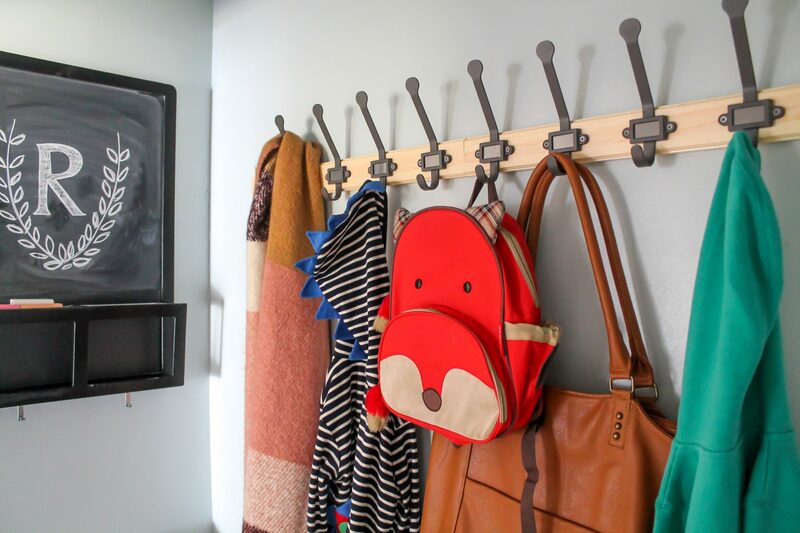 Each hook is a double so you can use it to hang something below and above – perfect for the boys backpacks and hats! STOCKHOLM Cushion, black/white – These pillows are super soft and cozy, perfect for leaning your back against while you’re putting on your shoes. 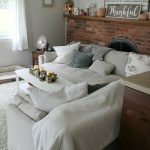 DUNÄNG Throw – I wanted a cozy knit blanket to put on the bench so the boys could snuggle up with one of the cushions and read or play. This throw was perfect and the wool makes it so warm. 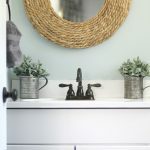 KNIPSA Basket, seagrass – These baskets are one of my favorite items in the closet, I love seagrass and I love the texture they bring to the space. They’re easy to slide in and out of the bench and they’re the perfect size for housing winter hats, gloves, scarves, etc. Now we won’t be searching for hats and gloves this winter while we’re trying to get out the door – everything has a specific place! So cute, right? We did this entire project in a weekend and all for under $500, too! 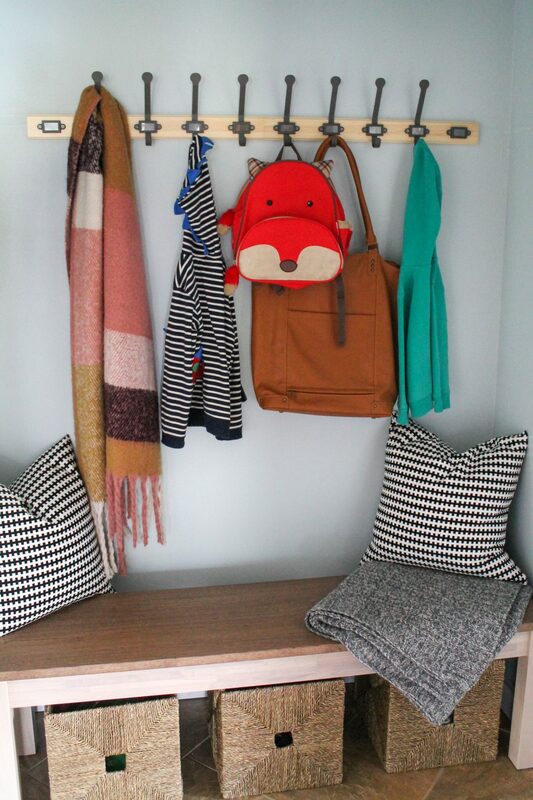 Opening up the closet and turning it into our own little mudroom has made our hallway feel so much more spacious and I just love walking in the door to that pop of blue on the walls. If you have a closet like this that could use some organization, be sure to shop IKEA to pick up everything you need! Annndddd because everyone loves a good “before” & “after” photo – check out this side-by-side! I really can’t believe it’s the same closet! 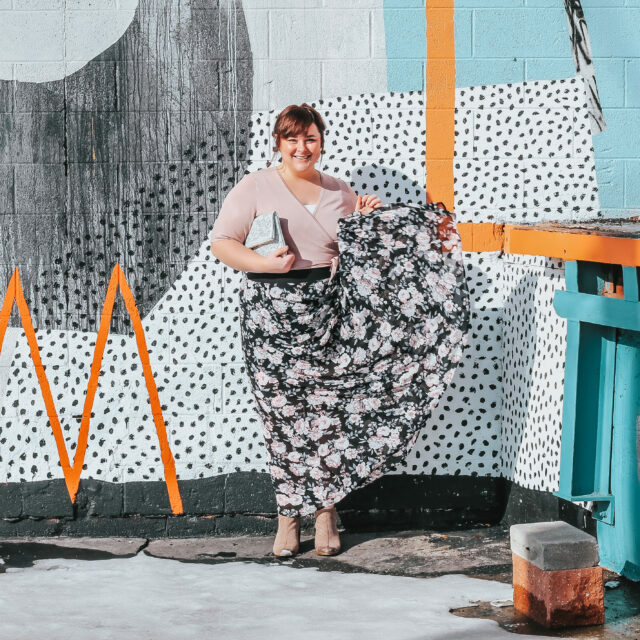 Such a fun update to do for our home! Could YOU use a mudroom in your home? 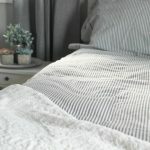 Do it on a budget with IKEA!